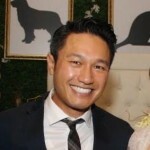 Tony is a 2004 USMA grad and a Columbia Business School alum of 2012 who spent an exchange semester at Haas Berkeley. Before business school Tony served as a Stryker Platoon Leader and Commander in Iraq. During his MBA, Tony was a project manager intern at Bloom Energy, and afterwards the head of product at Agrothermal Systems, an agriculture tech startup.